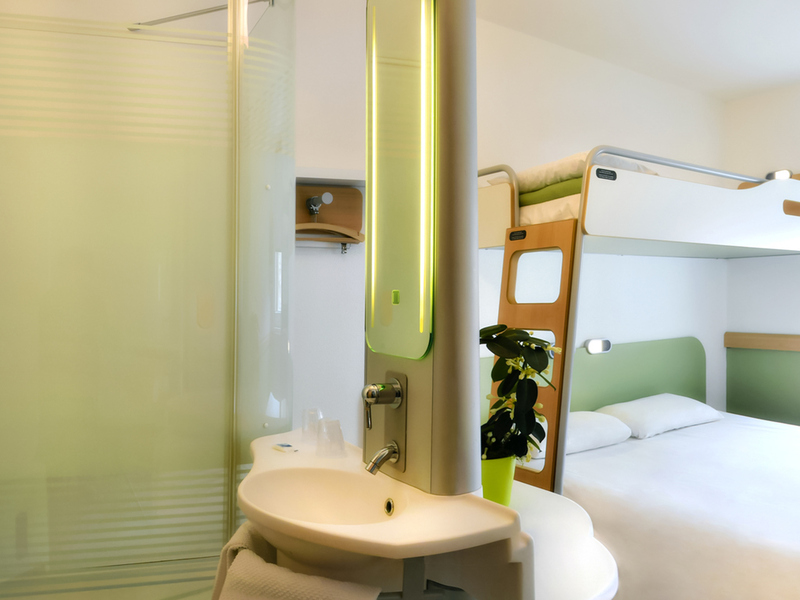 The ibis budget Saint Quentin Centre hotel is located 219 yards (200 m) from the train station and the Palais des Sports, close to shops, restaurants, a bowling alley, cinema and concert halls. For your business or leisure trip, choose to sleep in a pleasant, modern room with air conditioning, a flat-screen TV, XXL shower and separate toilet, designed for 1, 2 or 3 people. Enjoy a buffet breakfast at a great price and free WIFI. Personalized welcome 24/7 and secure car park.